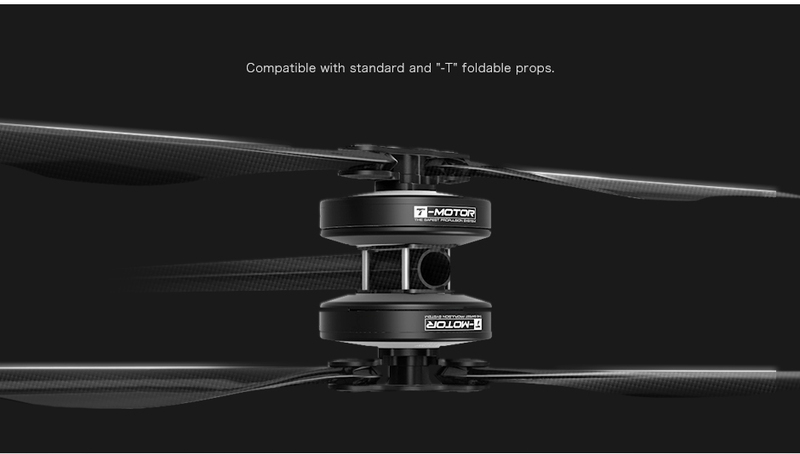 T motor foldable propellers available with special winglet design. 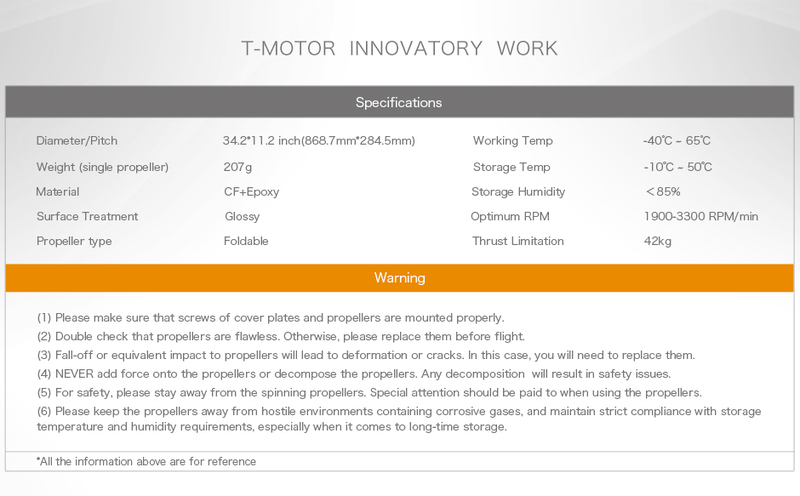 Foldable type Tiger Motor propellers provides precise positioning and ideal flight with thrust up to 42kg. 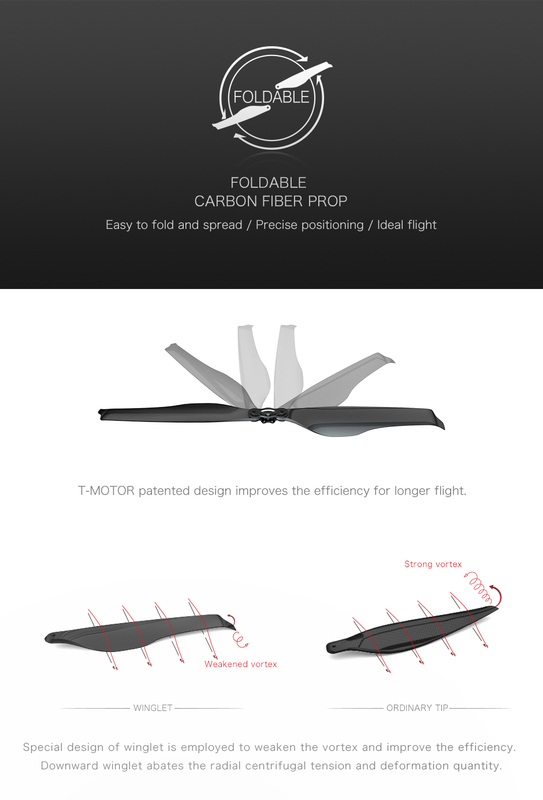 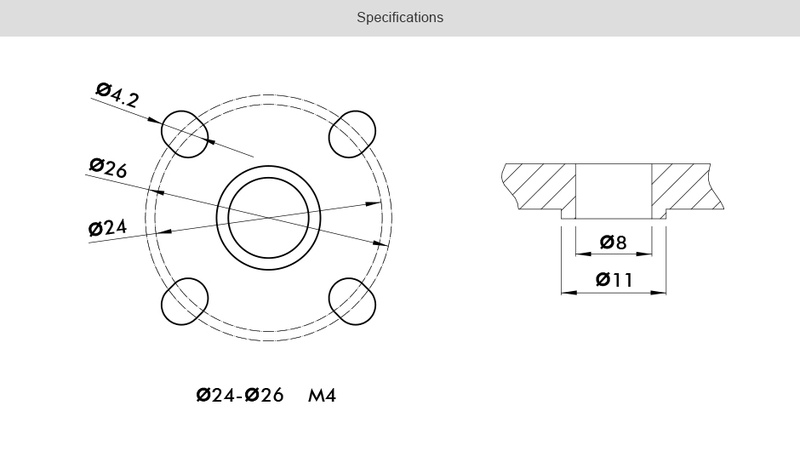 T-motor foldable propeller can Easy to fold and spread with patent design to improve the efficiency for longer flight.